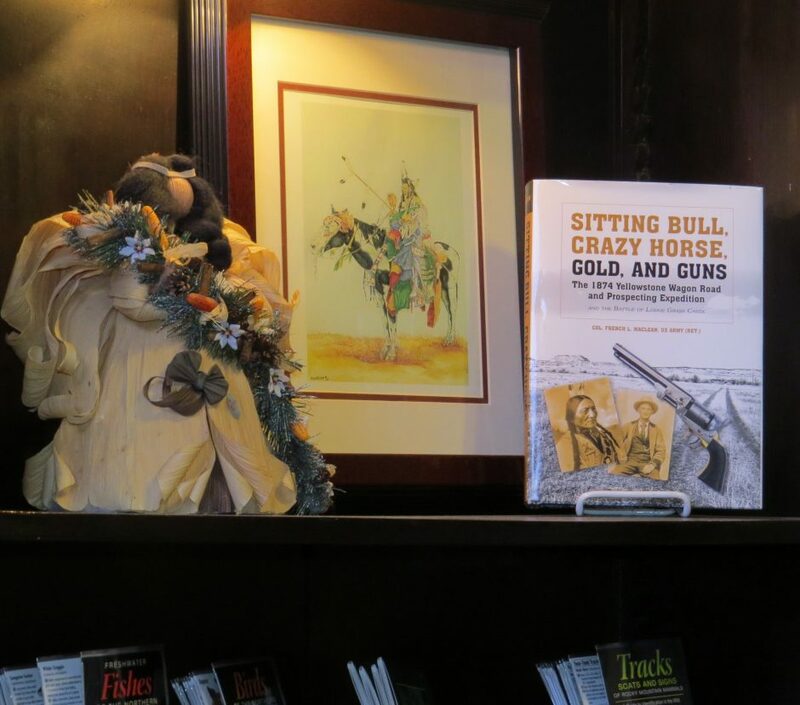 (October 2, 2017) For my money, the best historical hotel in the United States is the Occidental Hotel in Buffalo, Wyoming, so it was quite pleasing to see that Sitting Bull, Crazy Horse, Gold and Guns is now being sold in the hotel bookstore. 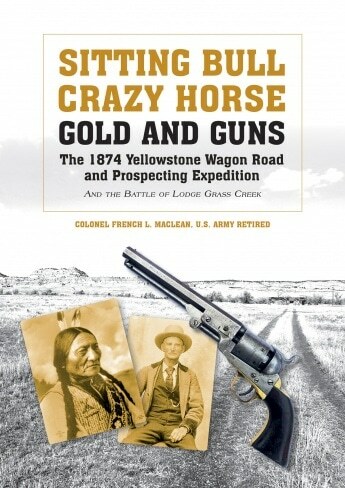 That may be, in part, because the book discusses the Legend of the Lost Cabin Gold Mine and part of that legend occurred along Main Street in Buffalo just yards away from where the hotel stands today. Everywhere you walk in this famous hotel, you will be walking where many famous people of the Old West walked – the young Teddy Roosevelt, Butch Cassidy and the Hole-in-the-Wall Gang, Calamity Jane, Buffalo Bill Cody, Tom Horn, General “Little Phil” Sheridan, sheriffs Frank Canton and “Red” Angus, numerous figures from the Johnson County War, as well as more modern figures such as Ernest Hemingway and Owen Wister. In the rip-roaring days of early Wyoming, the Occidental Hotel saloon was famous far and wide as the lawful and lawless played faro and poker, talked up local ladies, consumed way too much hard liquor and beer and occasionally shot up the place, just like many of the gold-hunters on that 1874 Yellowstone Wagon Road and Prospecting Expedition in the book. One visitor in the early days, the establishment opened in 1880, called the Occidental Saloon “a regular gambling hell,” where high-stakes poker games could last for days, before being ended by a gunshot. 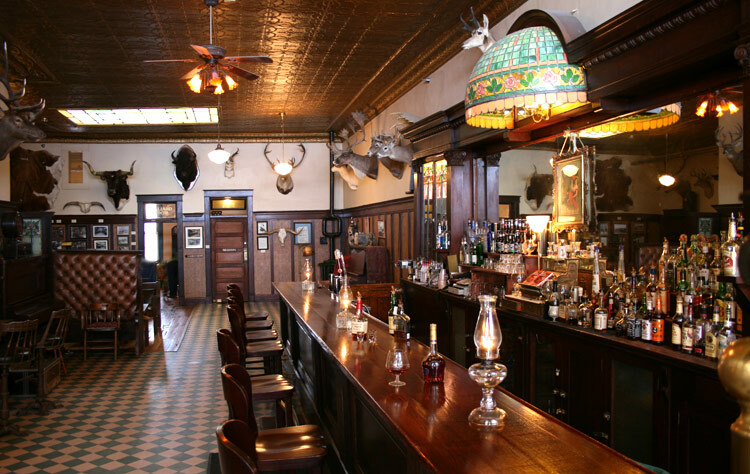 In 1908, the original rough barroom was replaced with one of the most elegant saloons in Wyoming, which is what you see today; but the raw underbelly is still present as are 23 bullet holes in the tin ceiling. 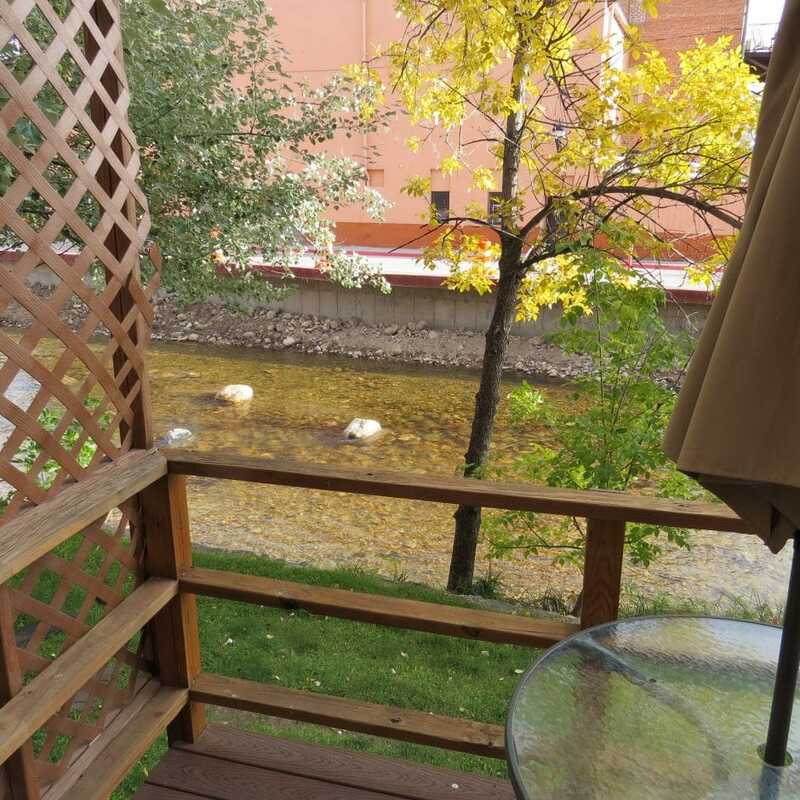 There is a trout stream right next to the hotel. 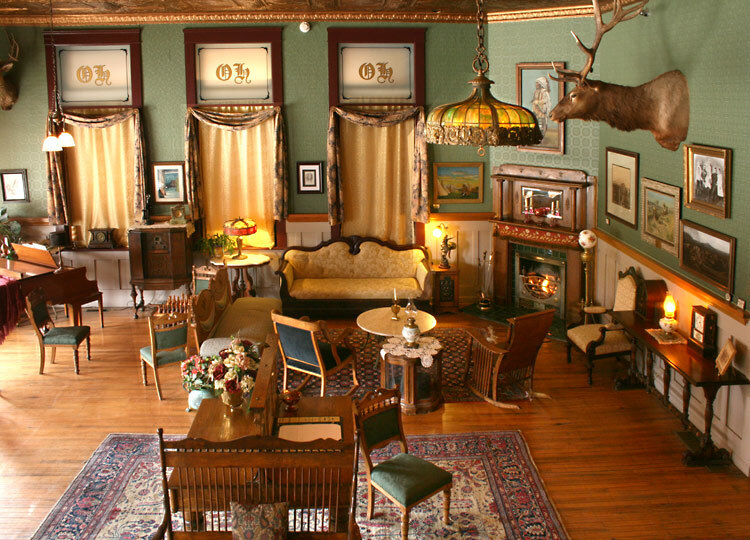 In fact, if you stay in the Ernest Hemingway Suite, you can walk out the back door to a small porch, and if you are a good fly-rod caster you can fish right from the porch. There is a hotel museum, but really the entire hotel is a museum. We stay there twice a year; you can get excellent food in the saloon or try and really gourmet meal at the hotel restaurant, known as The Virginian. Elk filet, buffalo steaks and other fabulous entrees are served in a unique atmosphere. It is certainly not an overstatement to say that the Hotel Occidental (and all its features) simply has to be on your personal bucket list. Maybe you can even pick up the trail and find your own Lost Cabin Gold Mine.